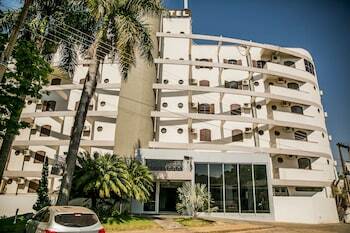 With a stay at Pilões Palace Hotel, you'll be centrally located in Mineiros, just a 5-minute walk from Odilon Flores Stadium and 7 minutes by foot from Hospital Nossa Senhora de Fatima. Featured amenities include dry cleaning/laundry services, a 24-hour front desk, and laundry facilities. Free self parking is available onsite. Located in Rio de Janeiro (Ipanema), this apartment is minutes from H. Stern Museum and Garden of Allah. With a stay at Casa da Vovo Guida in Aracaju (Atalaia), you'll be a 3-minute drive from Atalaia Beach and 5 minutes from Aracaju Oceanarium. The front desk is staffed during limited hours. Located in Itacare, Che Lagarto Hostel Itacaré is minutes from Itacare Cultural Cinema and Coroinha Beach. Featured amenities include a computer station, a 24-hour front desk, and multilingual staff.